We offer top-of-the-line storage options for your home, business, and vehicle storage needs in Austin, Texas. Look around our website and reach out to our team today! All Stor Self Storage provides quality storage units to the people and businesses of South Austin, Texas. Our property is a short drive away from downtown Austin and just down the street from Southpark Meadows shopping center. Our newest location is located 1/2 mile North of Slaughter, between Slaughter and Wm. Cannon. Our easily accessible properties are just one of the reasons All Stor is the first self storage choice for anyone in the community. 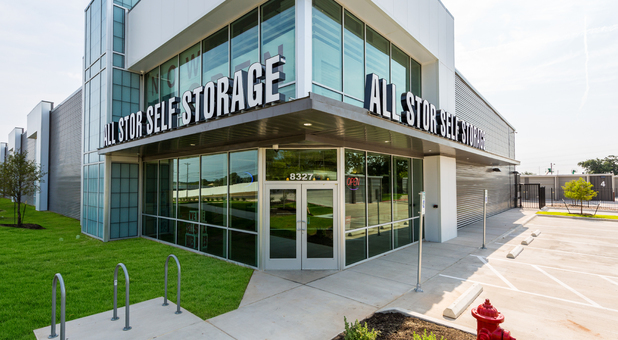 Each of our facilities is within a short distance from downtown Austin, Texas, allowing its residents to benefit from our affordable and secure self storage units. If you live in South Austin, Travis Heights, Southeast Austin, Bluﬀ Springs, or any other nearby community, get in touch with us – we’re just a phone call away! All Stor will redefine your storage experience by making your move as pleasant and pain-free as possible. We are locally owned and managed with modern, well-designed self storage units to serve you. Whether you're a resident, business owner, student or an apartment dweller, we can help you with all of your storage needs. At All Stor Self Storage you’ll find out why we have a reputation for great customer service! Our team provides a variety of secure self storage units that allow our customers to store their belongings in a safe yet inexpensive way. When you leave your things with us, we take every measure to ensure they’ll stay exactly the same when you retrieve them. Each of our properties is fully equipped with perimeter fencing and advanced video surveillance, offering your items all the protection you’re looking for!